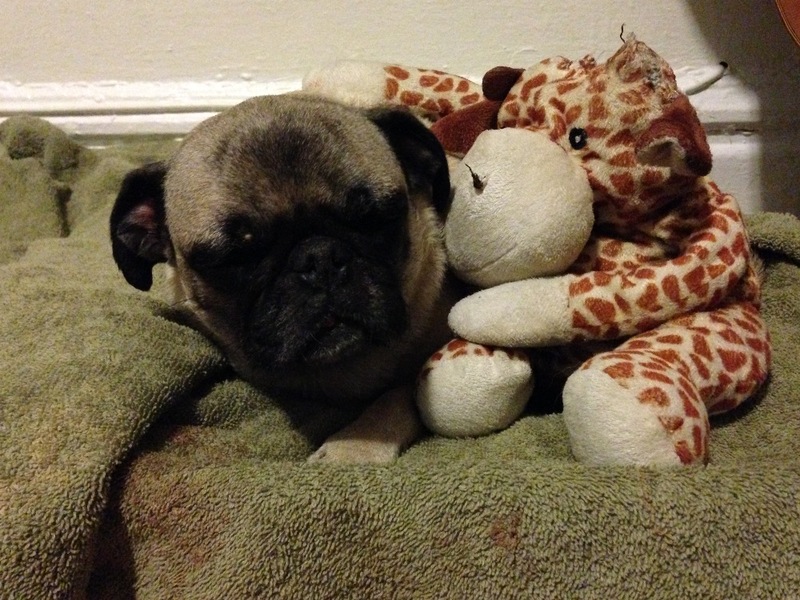 "We'll appreciate anything you can do to help us cover Maribel's dental care and recovery." My name is D'Lolly and my husband's name is Gio. 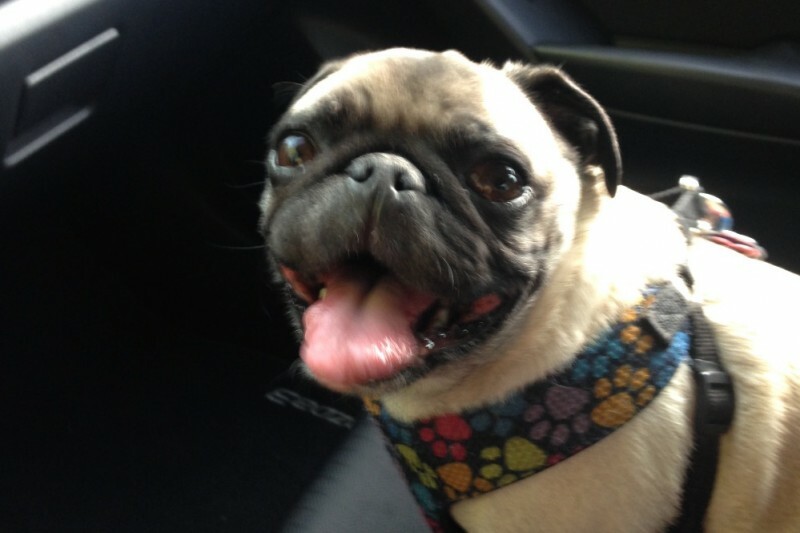 We have a wonderful 5 year old Pug named Maribel. Maribel has been part of my life since she was just a few months old. Through some of the toughest times in my life, Maribel has been there to protect, calm, and love me. There are no words to explain the love, joy, and appreciation I feel for her. Back in 2012, Maribel started having very stinky breath. We just chalked it up to her being a stinky Pug (Gio thinks that the rest of her smells like Fritos). As her breath got worse and worse, we took her to see a vet. 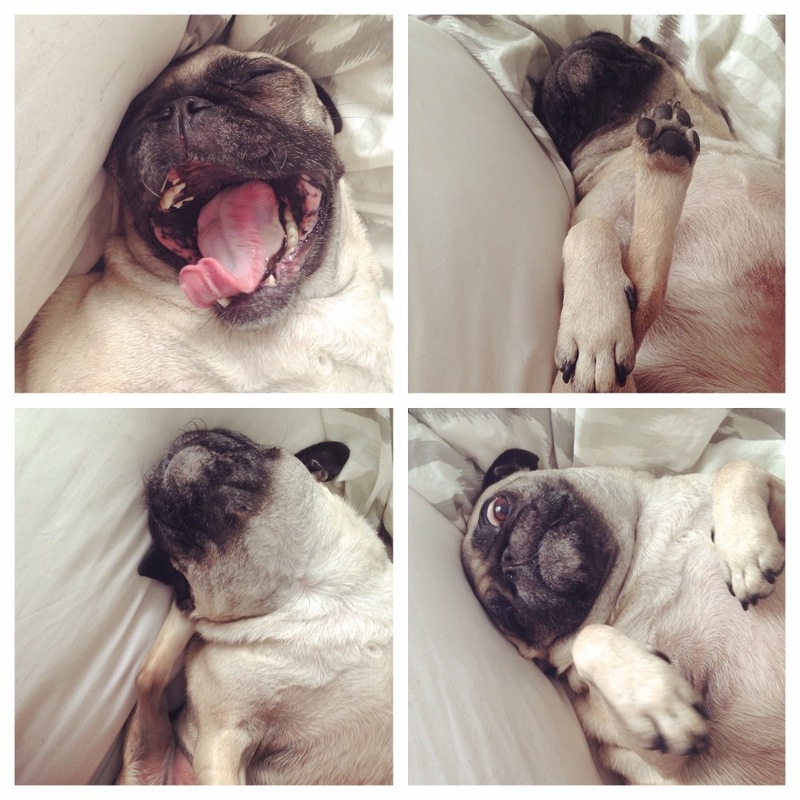 They told us that this is very common in small dogs, especially pugs, because of their facial structure. They did a proper cleaning of her teeth and we started from scratch. The cleaning kept her breath fresh for about 2 months and we also did as much as she would allow, to keep her teeth clean. Within a fews days we started to notice she was having some bloody drool and smell again. We put her on some antibiotics but nothing seemed to help. Tartar and plaque quickly built up again, leading to bad breath and gingivitis. In a short time the infection got worse and led to Peridontal Disease, a dental condition that causes dogs much pain. It hurts to eat, they foam/drool constantly, and they even lose energy. After many vet visits, cleanings, antibiotics, the disease spread out of control. Now began the process of extractions. During her first operation she had 6 teeth removed, 4 incisors and 2 canines. Once again, the antibiotics helped for a while but once they ran out, her condition worsened again. With the infection now possibly affecting her kidneys and bone structure in her upper jaw, we met with different vets who told us that something drastic may need to get done -- we may need sophisticated dentist-specialized x-rays (which our vets do not have the proper technology to do themselves), there may be more extractions, possibly surgery. The situtation had already taken a huge financial toll on us (her tooth extractions were our first major expense after our wedding and honeymoon), and these new prospects were overwhelming, to say the least. We weren't sure how to proceed, but stayed in contact with her vets, who offered to refer us to veterinary dentists in the city. The next avaialable appointment was in late July (nearly six weeks away!) Gio did not think it wise to wait that much longer, so instead set up an appointment for a consultation with Dr. Surgeon (yes, that's his actual name), a veterinary dentist who practices in New Rochelle. Gio loaded up Maribel in a zipcar and was on his way. When Gio spoke with the doctor, we learned that Maribel's condition was much worse than we had imagined. Maribel had now developed Stomatitis, a condition where the soft tissues in an animal's mouth, such as the gums, lips, and tongue, become irritated and inflamed. Maribel's case was well past the early stages, to the point that she had bleeding ulcers lining her lips. The doctor told us that he hadn't seen such a severe case in over 10 years, and his recommendation was to extract more of her teeth. But he would not know exactly how many until he anesthetized her and had a closer look. Gio asked whether the doctor could have a look and then let us know how much it would cost, so that we could deliberate and raise funds for future operations if necessary. But Dr. Surgeon simply replied, "I would not be willing to do that. 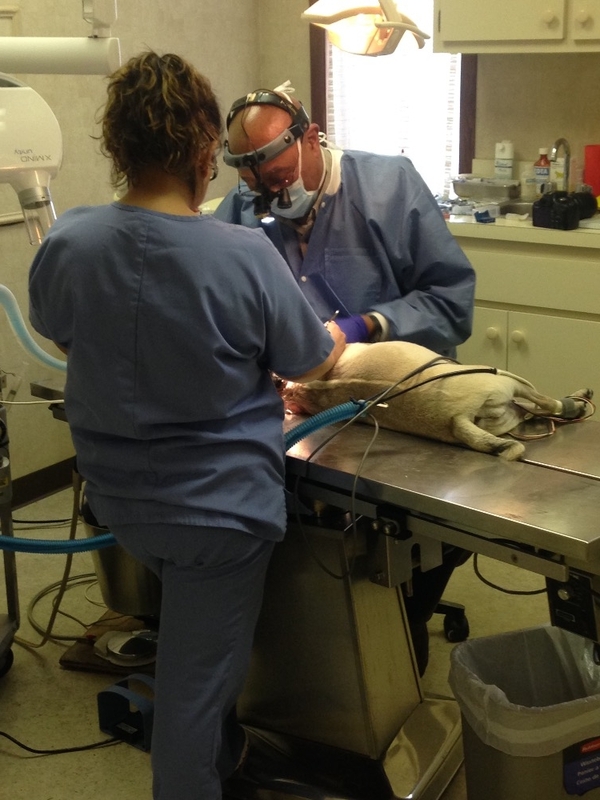 I'm not in the business of NOT helping animals in severe pain." Maribel's condition was now perfectly clear to us, as was the reality that she needed help immediately. And that it would cost us a hefty amount. Gio left Maribel in the doctor's care that morning and later received a call from Dr. Surgeon -- the only way to relieve Maribel from pain and discomfort going forward would be to extract ALL her teeth. Every last one. This was a sad and scary thought, but we wanted Maribel to be happy, without pain, even if it meant losing what was left of her teeth. So we had the doctor go ahead with the procedure. When all was said and done, we had to foot a $3000 bill that we were not in any way prepared for. Though Maribel is insured with her vets, the dentist doesn't accept that insurance. So we dumped nearly everything in our bank accounts, including our $1000 emergency fund, to pay for Maribel's dental work. We now don't have money to pay for basic daily expenses, to say nothing of rent or monthly bills, and only time will tell whether Maribel will need more work or medications throughout her recovery (we have a follow up appointment scheduled in three weeks). And God forbid we have any emergency situations in the mean time! Gio prides himself on his resourcefulness and we've done OK for ourselves - our marriage, home, and family - thus far. But this enourmous and unexpected expense came out of left field and now has us in a very precarious financial position. We'll appreciate anything you can do to help us cover Maribel's dental care and recovery, not to mention our own financial recovery. thank you so much guys for all the support. we are super grateful ! I'm so sorry to hear about Maribel! She's such a special pup -- I hope she feels better soon. Lots of love to you guys xoxo.